They loved Warsaw. They wrote about Warsaw. 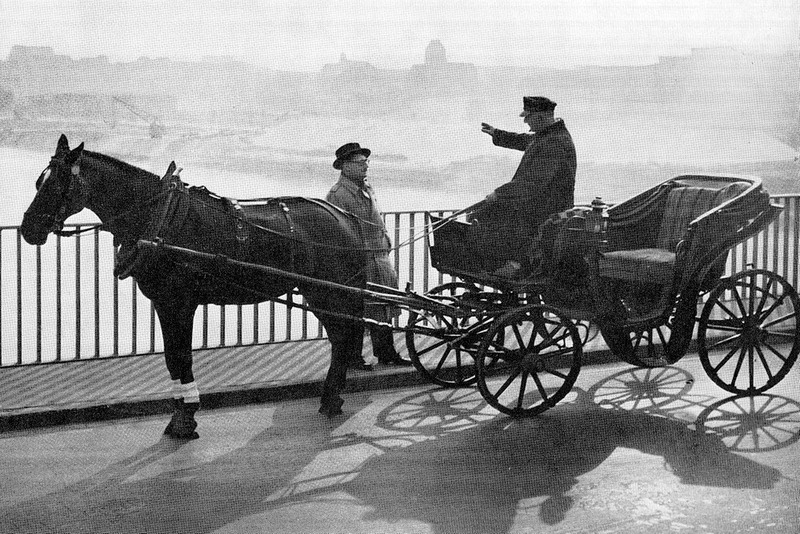 They brought the essence of the city in the inter- and post-war periods to readers everywhere. Culture.pl takes a look at writers whose prose revolved around the Polish capital. An author of prose, a satirist and columnist, was known as the ’Homer of Warsaw’s streets.’ He was known for his humorous columns, rather cruel in their satire, which he signed using his pseudonym ‘Wiech’. Although he addressed issues pertinent to life in the capital, Wiech’s columns were much awaited and passionately read across all of Poland. Drawing on local suburban slang, and enriched here and there with grypsera (prison slang), the specificity of his language has become the object of study of many a linguistic dissertation. 'Look, Ms. Komoda, look how I live, I got everything the soul could dream of’, and he pointed with his leg to some Italian brawn, which lay on the bed. Wiech is a gentleman, terribly funny, never mean, and often moving. His columns are the result of very careful observation, and of work that is quite creative and entirely original. Wiech is definitely an under-valued first-class writer, who managed to describe drukenness and fights about a thousand times, and every time, it was different. Julian Tuwim paid a personal homage to the author, inventing a genius way of incorporating entire sentences written in the so-called Wiech manner, into the Kwiaty Polskie (editor’s translation: Polish Flowers) poem. In his writing, Wiechecki combined the use of his own neologisms with the stylised language derived from the Kercelak area (where at least five different Warsaw dialects blended together). He managed to render this style legible even after the war when newcomers speaking various additional dialects from across Poland arrived in Warsaw. Wiechecki doesn’t have any direct successors who would be equally successful in their transmission of the unique character of this speech, although, paradoxically, many of his expressions became part of living, spoken Polish. 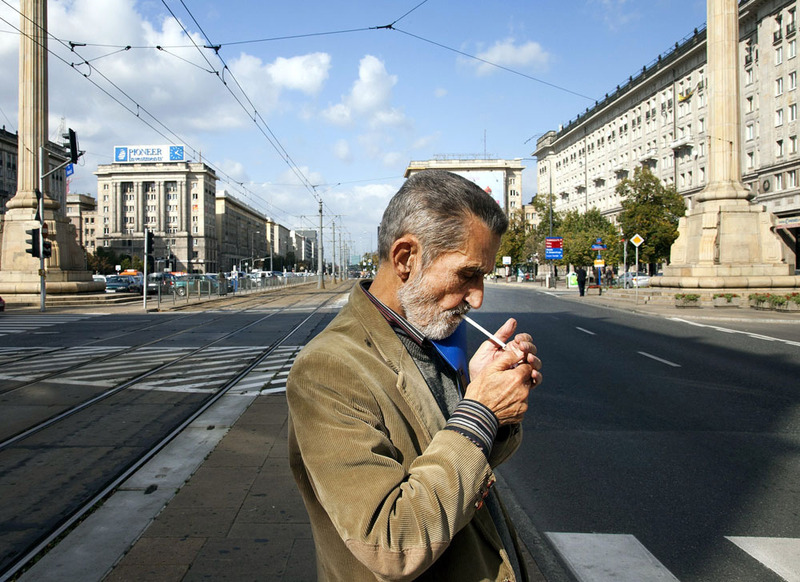 He is an example of an artist who grew into an admired writer on the streets of Warsaw. And the name of the exact street was Tatrzańska – in spite of being so close to the Łazienki Palace, his world was entirely different from the royal one: it did not include palaces, but rather low-rise houses and neglected tenement buildings. People lived there crammed into small, overcrowded cubicles, with no sewage and no electricity. Thus, by the force of pure reality, their life moved out onto the streets. Social bonds of the area’s inhabitants tightened in the queues to the loo. These conditions cemented the ties in the local community, and every appearance of the police was unanimously received with silence. The visits of police officers and secret service agents became frequent especially during the time of the world economic crisis, which naturally hadn’t spared Poland. During this period, employment cuts affected large numbers of workers, who would find themselves jobless and without any resources overnight. Unemployed heads of families desperately clung to any chance of making money, often in conflict with the law. An honest citizen could turn into a criminal overnight. Hence the iron rule everyone abided by: do not inform on anyone. Stanisław Grzesiuk became the bard of these very people, the desperate, the abandoned. 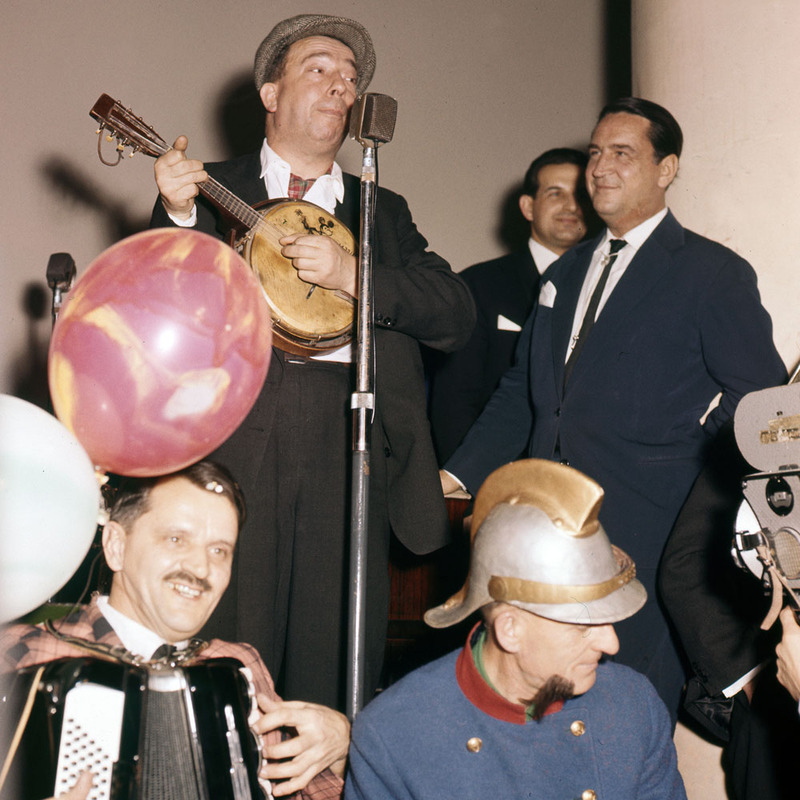 Using commonly understood, simple language and with a banjo on his knee, he sang of everyone’s shared longing: for a job, a home, a family and a normal life in freedom. 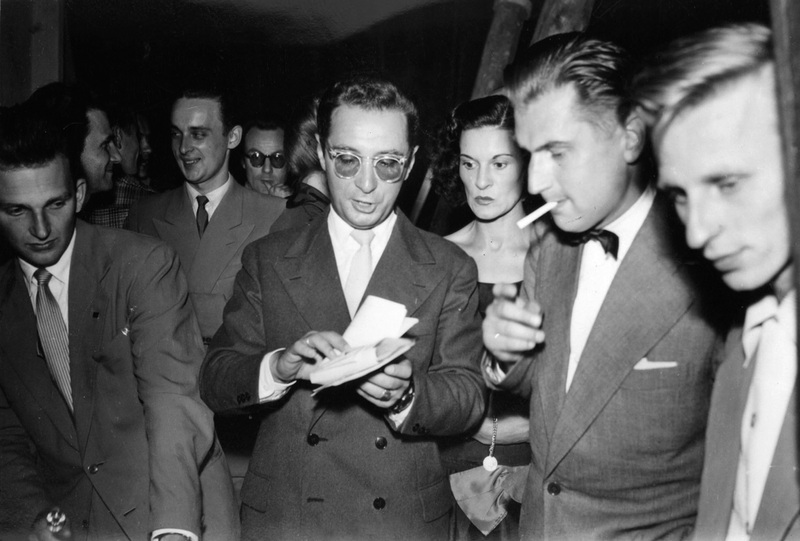 After the war, he began to write to fight the boredom of solitude in tuberculosis sanatoriums where he was regaining his health after being a prisoner of concentration camps. Grzesiuk wrote wonderful memoirs (Pięć Lat Kacetu [editor’s translation: Five Years of the KZ], 1958, Boso, ale w Ostrogach [editor’s translation: Barefoot But Spurred], 1959, Na Marginesie Życia [editor’s translation: On Life’s Margins], 1964), in which he preserved the supple beauty of authentic spoken language from the pre-war Czerniaków district. The everyday life of workers he depicted was far from the preferred models promoted by the communist regime. He received many tough blows from various guards of the compulsory morality, who criticised him for ‘glorifying the customs of society’s margins.’ Luckily, readers didn’t care much about these judgements, and new editions of his books quickly disappeared from library shelves, competing in their popularity with vinyl recordings of Wiech’s ‘suspicious’ ballads. Another writer strongly rooted in Warsaw. His memoirs, preserved in the essay collection Beautiful Twentysomethings from 1966, present unparalleled descriptions of locations within the capital which provided an escape from the communist party’s models of doing things. They are, first and foremost, the famous clubs and bars, who also gained their legendary status thanks to the fame of their regular guest, Marek Hłasko. 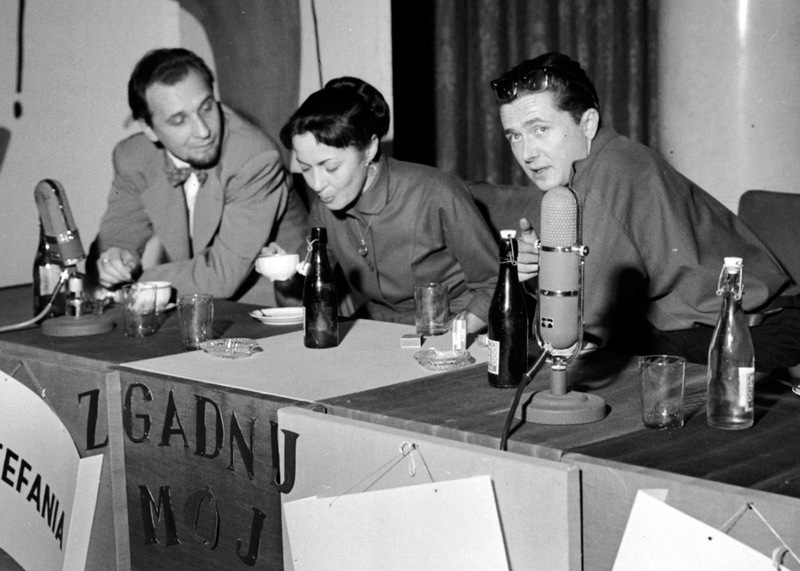 They were the diner-clubs of various associations: actors’ (SPATiF), filmmakers’ (the so-called ściek, literally meaning sewer), visual artists’, architects’, journalists’ – seemingly exclusive, they were accessible to anyone with the power of ‘breaking’ (or drinking) their way in. And there was also the Kameralna café. Located on the corner of Nowy Świat and Foksal streets, it was governed by anarchy and alcohol. Kameralna was one of the places to go to back then. It was a flawlessly run restaurant, divided into three parts: day-time Kameralna one, day-time Kameralna two, and night-time Kameralna. The innovative character of this gastronomic-architectural solution allowed one to start drinking in day-time Kameralna two from the early morning hours, after which one would proceed into the day-time Kameralna one for lunch, and ‘play with the bottle’ till the evening, and the opening of the night-time Kameralna where one could finally deal with all the social drama. Any old scoundrel could enter day-time Kameralna one and two, but a certain etiquette was respected in the night-time Kameralna: guests had to wear a tie and a jacket. It was completely indifferent if the consumer had just spent twenty-four hours in the rubbish bin, he only had to have a jacket and a tie. Because at the time I didn’t have any permanent place of residence, and I often lost the elements of my wardrobe in frequent fights with other inhabitants of the capital, I came up with an idea which was almost spartan in its simplicity: I bought a velvet jacket and a tie at the state department store and I left them in the cloakroom of the night-time Kameralna. Thanks to this, upon my entry, I transformed from a dirty scoundrel into a classically educated, promising youth, and entered the place in joyful leaps. No one else described new life rising up on Warsaw’s post-war rubble with such power, dictated by the nostalgia of an emigrant’s distance. Nobody had the same way of picturing people’s attempts at preserving scraps of their dignity, faced with the obnoxious dominance of those who abided by ideological and aesthetic doctrines from the East. At the time, the longing for an entirely different model of culture, be it the old one from the past, or the new, unknown culture of the ‘rotten‘ West, was very strong. For example, Marek Hłasko described crowds of people in Warsaw who stormed an exhibition which was meant to unmask the enemy’s evil conspiracy and the activity of the West’s secret agents. The exhibition had an ideological undertone – among other things, espionage equipment was put on display. But people crammed against the windows in order to catch the smallest glimpse of Western prosperity, something completely inaccessible to them at the time. The topography of Warsaw, as well as portraits of many more or less famous of its inhabitants, can also be traced in Hłasko’s short stories from the Pierwszy Krok w Chmurach (editor’s translation: A FIrst Step into the Clouds) collection from 1956 and in the novels: Ósmy Dzień Tygodnia (editor’s translation: The Eighth Day of the Week) from 1954, and Wilk (editor’s translation: Wolf) from 1953, first edited in 2015). An author of prose, who rose to fame with his novel The Man With White Eyes (Zły, 1955), on the eve of the Polish thaw of 1956. Under the guise of a sensational crime novel– with the significant input of brave officers of the communist Civil Militia, who fought the capital’s criminal underground – Tyrmand managed to smuggle in images of both material and spiritual post-war destruction, suffered by all citizens of Poland under the communist regime. In The Man With White Eyes, he portrayed the irreversible losses resulting from the construction of the Palace of Culture and Science. The street was called Wielka, once, when it still existed. Now, only a large apartment house stands there, rugged and patched up in numerous places. The last one standing – it is designated for demolition. Its background was the creamy mass of a high-rise building. The space of Europe’s largest construction site spread all around it, furrowed with trenches and folds of building materials. The construction site was borne out of suffocating sediment, among clouds of dust and the drone of diggers, concrete mixers and bulldozers. All that remained of Wielka Street was the roadway and the curbs of sidewalks, and these too were doomed to destruction. The whole world could wear any kind of socks they pleased, but Tyrmand’s red or striped socks were not just socks. They were a challenge and an appeal, they were like a charter of human and citizens’ rights, they were a manifesto. These socks insisted on the human right to be different, and even the right to play a fool. The socks said ‘It’s me, it’s me! I don’t want to be one of many, it’s enough that I am one of two’. I- say, I met Tyrmand after the October thaw, but he was active, writing and dressing up already in the early swinging fifties, and ever before that. He dressed up protesting the common uniform, and let’s be honest, he risked quite a lot by dressing up. I mean, we all looked like Mao-tse Tungians back then. And if anyone wanted to look different, they would be accused and trialled for bikiniarstwo. […] Of course, nowadays, it’s no secret that these were indeed also Dreams of the West. But this West, especially in the case of early Tyrmand, was not what it is to us today: a normal and entirely real collection of cities and villages, where we travel to work, to visit friends, and so on. The West was a myth, a dreamland, an Eden, and also everything that is unknown. If you understand 'the abroad’ in this way, it’s also no shame to be a raging provincial. 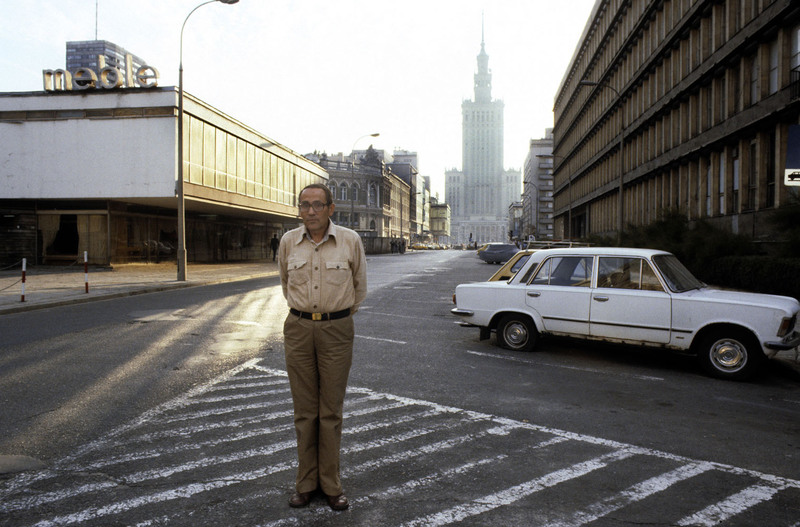 Warsaw is strongly present in the majority of Tadeusz Konwicki’s writings. His Wniebowstąpienie (editor’s translation: Ascension Into Heaven) from1967 is one of the most important Polish books of the 20th century. Its protagonist, a middle-aged representative of the intelligentsia, mythically named Charon, suffers memory loss due to a head injury. Lost in the backward reality of the Gomułka period, he meets a series of picturesque figures at a harvest festival in Warsaw.They are all part of the urban underworld: crooks, thieves, déclasséjournalists, writers who pose as princes of the night, aged beauties from the right bank of the Vistula, striptease dancers, as well as staggering individuals who try to get change from people ’for a tram ticket‘. Charon’s journey is layered with a sense of panic, triggered by the threat of yet another global conflict (a sense of psychosis after the Soviet-American conflict in the Bay of Pigs) and a criminal scandal (the echo of a real-life attack on a cashier, which took place near a bank on Jasna street). We had a dramatic and tragic fate, though sometimes also a sublime and beautiful one. This whole tangle of complex fate isn’t of interest to anyone out there in the world. Andrzej Łapicki told me he mentioned the Warsaw Uprising in Germany. Young Germans were surprised. What? There was another uprising apart from the one in the ghetto? The knowledge of our fate in the world is incomplete and dictated by chance. Californians, and this is something I know from my daughter Marysia, who lives there, are convinced that during the Nazi occupation everything functioned normally, people lived their lives, and perhaps every so often some German appeared on the horizon. They have no idea about Auschwitz or the labour camps in the depths of Russia. That’s why, in a gesture of solidarity with the fate of the unappreciated, I wanted to give this ruined city a somewhat metaphysical touch. I tried to create a magical square out of the streets in Śródmieście [the centre of Warsaw]. I picked their names, Świętokrzyska [Holy Cross], Nowy Świat [New World], Aleje Jerozolimskie [Jerusalem Avenue], Trzech Krzyży [Three Crosses’] square. This Warsaw demanded to be elevated wherever possible. Warsaw is constantly alluded to in the para-journalistic works of the writer: Kalendarz i Klepsydra (1976) Wschody i Zachody Księżyca (editor’s translation: Moonrise, Moonset, 1982), Nowy Świat i Okolice (editor’s translation: Nowy Świat Street and its Vicinity, 1986) and in the anti-regime triptych: Kompleks Polski (editor’s translation: The Polish Complex, 1977), Mała Apokalipsa (editor’s translation: A Minor Apocalypse, 1979), Rzeka Podziemna, Podziemne Ptaki (editor’s translation: Underground River, Underground Birds, 1984). After the fall of communism in 1989, it still makes an appearance in the works: Zorze Wieczorne (editor’s translation: Northern Lights, 1991) and Pamflet na Siebie (editor’s translation: Slander Against Myself, 1995), and in the novel Czytadło (editor’s translation: Page-Turner, 1992). If anyone dared to convey the picture of Warsaw as a magical city, they would simply have to draw from the works of Konwicki, himself a native of Vilnius. Marek Nowakowski’s books have turned out to be an unparalleled chronicle of life in post-war Poland. The numerous volumes of his prose, whose plots usually take place in Warsaw, portray people from the social margins as they live day to day, usually conflicted with the law. The underworld of hobos, prostitutes, crooks and smugglers wasn’t quite in line with social norms; it was also most definitely not in line with the image of reality promulgated by communist propaganda at the time. During a period of ideological imprisonment, the anarchic freedom of Nowakowski’s protagonists was intriguing, not only for how exotic it seemed. In the titular short story from the collection Książę Nocy (editor’s translation: The Prince of the Night) from 1978, which resonates most strongly with autobiographical references, we meet a boss of the Warsaw underworld become an unexpected mentor for a young man on the threshold of adulthood. For the only child in a family of teachers, bar-hopping with the ‘prince of the night’ becomes a real life lesson for the sensitive boy. The boss entices him with a plan of a big hit, which can never actually take place, he becomes embarrassed of his overly protective mother, and his heart surprisingly quickly conquered by one of the beautiful favourites from the whorehouse. Each of Marek Nowakowski’s pieces is an excellent account of the context of local practices, with an array of especially colourful personas. The pageant of outsiders consists of what remained of pre-war craftsmen, clerks, restaurant owners. They were the so-called prywaciarze (private operators), who did relatively well and were thus seen as bad. The lot is put down with thieves, crooks, smugglers, partly forced to bypass the law by the system, whose activity was based on the assumption of a permanent lack of basic products. All these people, together with some members of the intelligentsia, representatives of liberal professions, writers, artists, and scientists, were united in one thing: their refusal to succumb to any spiritual enslavement. In Mój Słownik PRL-u (editor’s translation: My Dictionary of the Polish People’s Republic) from 2002, a treasure trove of precious information about Poland from the post-war years up to 1989, the author’s fruitful definitions are enriched with colourful tales. For example, he evokes the so-called dechy (literally meaning planks)– in parks and in open urban patios and squares, temporary floors were constructed with raw wood, in order to serve as dancefloors and podiums for orchestras and bands. I always had my own ‘Trenches of the Holy Trinity’ in the city, places of my own. A little shop here, a small workshop over there, a colleague here and another somewhere else. Within the past two decades, these enclaves of mine, these trenches all got buried, they aren’t there anymore. An engineer friend of mine had a small business of his own in a gateway, selling halogen lighting. He’s not there anymore. I had an old book-binder. Also gone. […] There’s a certain regret for something. The writer depicted people who made up the essential tissue of this rebellious city, frequently rejected figures, marginalised by society. In his books, he gave them back their dignity and honour. A writer who devoted a significant part of his work to Warsaw. Like Tyrmand and Hłasko, Janusz Głowacki spent a good part of his life outside of Poland. But unlike his predecessors, he was able to return. After 1989, he began to divide his time between Warsaw and New York. Usually, the protagonists of his prose were permanently on the run, attempting to escape the oppressive system that tried to take control of every aspect of its citizens’ lives. The earlier stories written by Głowacki in Poland often took place in clubs, where students and people of the creative milieu tried to create small enclaves of their own independence. With a reporter’s sensibility, he depicted the atmosphere of these places created both by those allowed to enter the circle as well as those who remained on the outside, waiting to get in. He was the first of the chroniclers to notice and describe the phenomenon of a specific agreement between exponents of power holding positions in the state, and those who represented private initiatives. The former had the privilege of power; the latter had capital. Mixed marriages of children from both circles provided a guarantee of relative stability of the established covenant. Głowacki’s debut novel describing the phenomenon, Wielki Brudzio (editor’s translation: The Great Dirty) – was published in the Kultura weekly in 1964. A realistic description of the life of so-called ‘banana-youth’ caused widespread indignation. Marriages between children of the ’red bourgeoise‘ and the so-called badylarze (translated as greengrocers), who weren’t officially accepted, but were essential for the economic circuit of the state, were taboo. After all, our country is especially sensitive to moral issues. And it is renowned in the world for its honesty. After my high-school exam, in spite of the objections of my uncle, who was a well-known actor and who had his reasons to claim I have no talent, together with crowd of ungifted candidates, I was accepted to the theatre school on Miodowa street. They taught us using the simplified Stanislavsky method, I mean they told us to alter between identifying [with the character] and being empathetic. (…) I rolled on the floor like an egg or murmured like a tree in November Night, and I wasn’t as good at it as the others. I’ll tell you the truth: I completely refused to be an egg. Professor Maria Wiercińska asked me, ’Janusz, how come you don’t want to roll like the others?’ 'Because I am embarrassed in front of you”, I replied honestly. And that was the first time they accused me of cynicism. Recently, I was walking back home in the evening, and on the other side of a brick wall, I saw the head of parking guard. ’Mr. Janusz!,’ he called out, ’Please, come over here.’ He shook my hand fiercely a couple of times. ’You don’t even know how much I respect you. Forgive me, for urinating at the moment.’ I thought maybe I should return to Poland, after all. As the author of prose, essays, andan screenplays, (including Wajda’s Fly Hunting,1969, We Have to Kill this Love by Janusz Morgenstern, 1972) he was closely connected with Warsaw from the outset. He returned to this city from involuntary exile the moment it became possible.